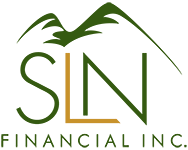 3 Tips to Find Affordable Long-Term Care Insurance | SLN Financial, Inc. Long-term care (LTC) insurance is often overlooked as a necessity, but as humans continue to live longer lives, LTC is becoming an important asset to have in your later years. It helps take care of daily tasks when you’re unable to—dressing, bathing, eating, taking medication, etc. But, paying for care with these tasks isn’t always light on the wallet. Use these three tips to keep the price of LTC affordable. Start with a budget. First, decide what amount of money is feasible for you to spend on LTC. You should understand how much you can pay for a premium and talk to your financial advisor to review options that fit within your budget. Buy sooner rather than later. The longer you wait on purchasing LTC insurance, the more expensive it gets. You should be shopping for LTC when you’re 50 to 55, not 65. Pro Tip: Apply at least 60 days before your next birthday to get priced on your current age. Don’t be left in the dark when you need LTC most. Be on the way to a more secure financial future. Give us a call and we can help you find the right LTC policy for your needs.